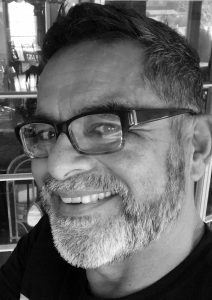 Anthony Torres is a creative director with a background in art direction – with an award winning career spanning over 25 years. Anthony has worked for advertising agencies, design and PR firms, and for the last 16 years has been successfully running his own business. He has done work for national and local clients and helped launch and rebrand more than a few. He has helped develop some incredibly talented art directors and designers, and has won a few accolades along the way. He is a graduate of The Art Institute of Houston Design School, and lives in Richardson, TX with his wife and 14-year-old son. Specialties: Art Direction, Creative Direction, Illustration, Logo Design, Strategy, Writing, Advertising, Design, Marketing, Packaging, Print, Interactive, Broadcast, Non-traditional Medias, Team Management and new Business Development.